Working Class Pasts – Nostalgia and Past Hardship Through Sound and Music. “Since the 1970s especially, the tendency has grown for directors to indulge their own musical tastes in scoring a film” (Gorbman, 2006, p.17). Distant Voices, Still Lives (1988) – Differences in Time. 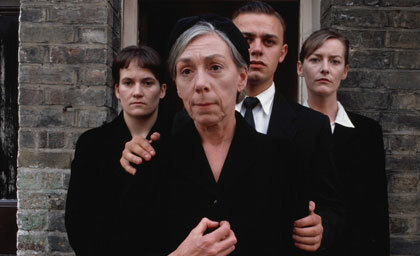 Terence Davies’ autobiographical second feature is the last film to be examined. Unlike the other two examples, this film needs far more recontextualisation as its overall aesthetic choices for sound and music are greatly affected by differing factors. The first thing to note is that Distant Voices, Still Lives can be classed as a period film. Williams (1993, p.241) argues that “Whether conscious or not, Davies attempts traumatic depictions using characteristic techniques of memory fragmentation and nonlinear representation involving his audience in the unpleasant realm. By doing this, he avoids the nostalgia inherent in any work dealing with the past.” As we will see, the musical argument completely contradicts this reading. This is one of the key features that distinguishes the film from the other two and allows a breed of nostalgia to be born. Whereas before the films were made to highlight problems and issues of the very present day, Distant Voices, Still Lives is a personal journey back into the past allowing the 1988 film to be set at roughly the same era as our other examples. This explains a number of the techniques on display that will be discussed later but it is too generalising to simply state that it is the main factor. What is perhaps more interesting is that, by recalling this post-war era, Davies has also recalled its reliance on music; something that neither of the previous films acknowledged. “The first problem of reflectionism affects both classical and Marxist schemes since they conceive of music as a primarily reactive phenomenon.” argues Flinn (1992, p.88) and though the musical reactions of The Loneliness of the Long Distance Runner reflect this problematic stance, Distant Voices, Still Lives shows a reliant music rather than a reactionary relationship. In the context of Davies work though, many of Flinn’s general arguments are lacking (through no fault of the writer’s) prompting Everett to call them “over-simplistic” (2004, p.175). The film feels no need to shy away from the issues that were simply impossible to be put on screen during the 1940s and even the early 1960s but does use music to in some way account for the presence of darker themes. Everett (2004, p.177) puts this down to a need to break the nostalgia: “Davies allows nostalgia to develop and then to be destroyed from within.” This is the main point on which we disagree. Though great attention is paid to the music in her writings on both Distant Voices, Still Lives and the director’s general use of it, it seems that the visual narrative has won over the writer rather than its sound-world which only breaks from nostalgia properly for one segment, even though the film has more than one unpleasant scene. It would be impossible for Davies to show working class life in all of its complexities without music and sound. Everett (2004, p.171) believes this is instantly obvious because of the sheer volume of music in the film, stating “However, as soon as we move to Distant Voices, Still Lives, we become aware of a major shift in Davies’s treatment of music. This is obvious merely from noting the proportion of the film in which music is heard.” The film is one whose soundtrack tells as much as its visual narrative, sometimes even more so. As we will see, Davies is a director who is conscious of the powerful relationship between sound and vision; one that when used in very specific ways can recreate that feeling of stumbling upon a memory. Its haphazard jumping between time frames and reliance on sound worlds from different periods in the family’s life speaks of the whole film being one long recollection with only an Olivier voice-over missing to give it the obvious tell-tale sign. Everett (2004, p.65) also argues that “In Distant Voices, Still Lives, the camera glides through and between memories, twisting and turning upon itself in complex patterns which if not chronological or plot-driven may instead be recognised as musical and harmonic.” Even the very structure of the film seems quintessentially musical. Whereas other films potentially could work in narrative terms without its music, Distant Voices, Still Lives is at once completely reliant on both digetetic and nondiegetic music and sound; “… music is not being used as mere background support, surreptitiously shaping our emotional responses as we concentrate on dialogue and action, but is at least as important as these in creating the film’s meanings.” (Everett, 2004, p.172). The argument between these two terminologies will become increasingly complex from scene to scene as it becomes more ambiguous and debatable as to where the sound comes from. This is a brief overview of a complex drama whose relationship with sound and music is the first to truly reflect the complexity of working-class life. 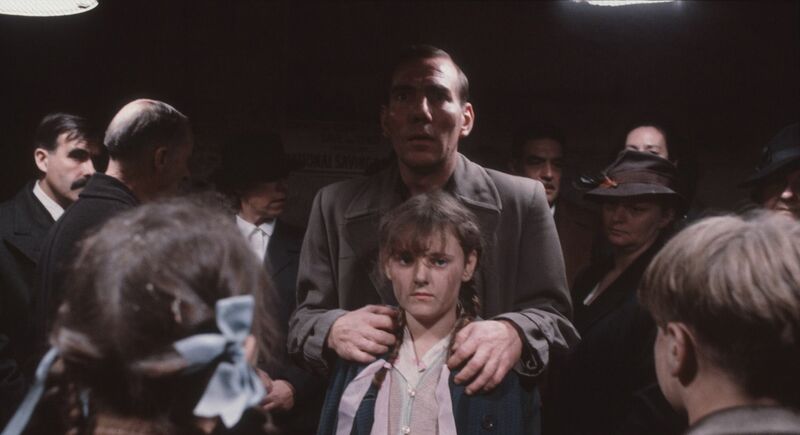 Though it also deals with a number of similar issues to the previous films, the power of nostalgia and memory ironically allows a truth to enter into the representation of the working-class in Distant Voices, Still Lives; an obvious irony considering that it has the longest time between its production and period setting. The Problematic Reception of Derek Jarman’s Blue – Part 4 (New Technological Contexts).